This release is part of Hanseaticsoft’s intention to enable inspectors of shipping companies to execute their inspections on a reliable basis while using their favourite mobile device. The Inspection Report enables a dependable inspection of vessels and the acquisition of all observations directly on board on a tablet or smartphone. The acquisition of results happens in real-time and allows immediate initiation of required actions. Due to the digitalisation of these processes, an enormous saving of time is ensured. 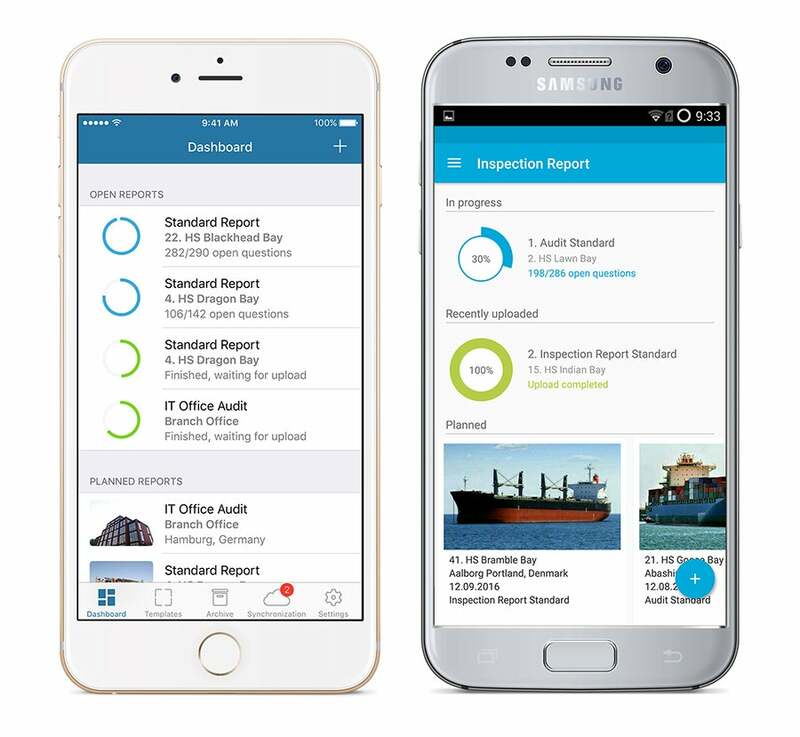 If you would like to experience inspections on your smartphone first hand, Hanseaticsoft is going to present its Android app at the Maritime CIO Forum Singapore at this year’s Digital Ship Singapore on the 13 October 2016. The company is currently also working on a version of its Inspection Report for iOS, thereby leaving the choice which mobile device to use to the customer. Visitors at Digital Ship Singapore will have the chance to get an exclusive preview of the iOS version at booth number 14. Whether iPhone, Windows or Android Phone, the user is free to decide which device to use. The Inspection Report will take the best out of every functionality given by the devices to maximise the report’s performance.